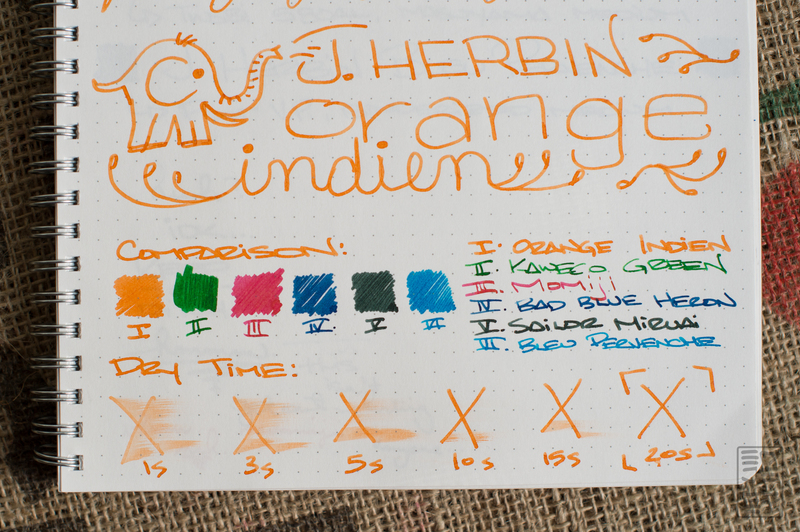 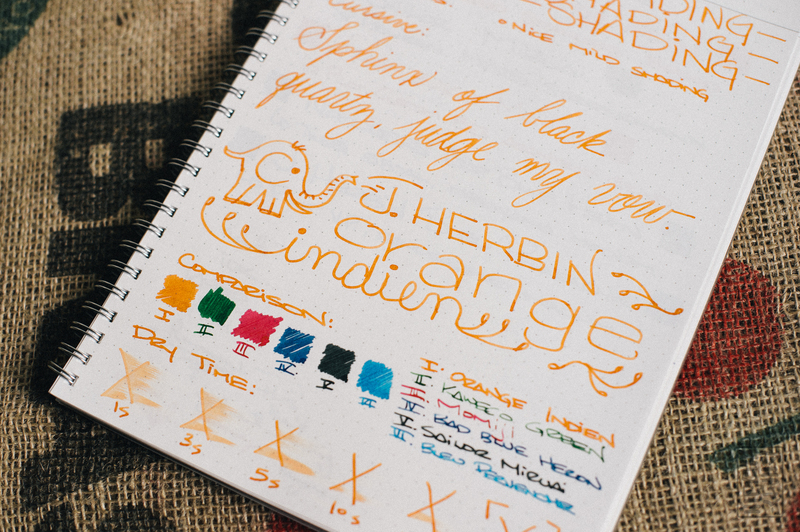 Despite the name, J. Herbin’s Orange Indien is not an india ink, and it will perform just fine in your fountain pen. 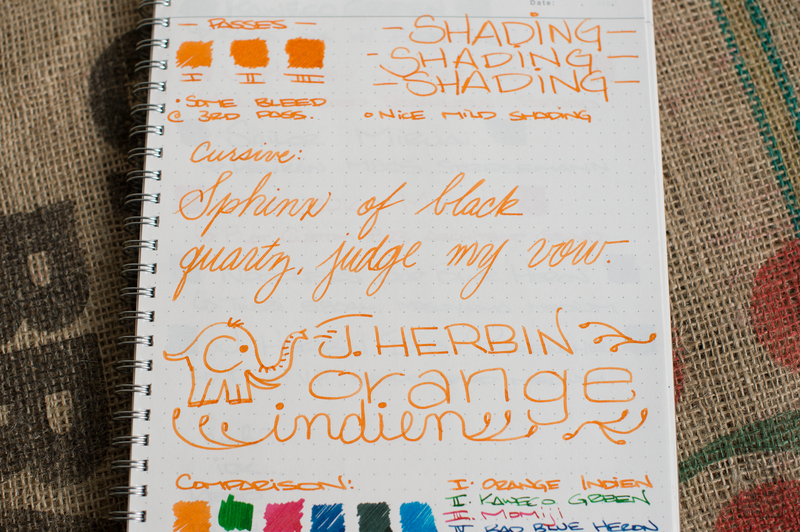 The ink writes a bit “thin”, which results in great flow, but low saturation. 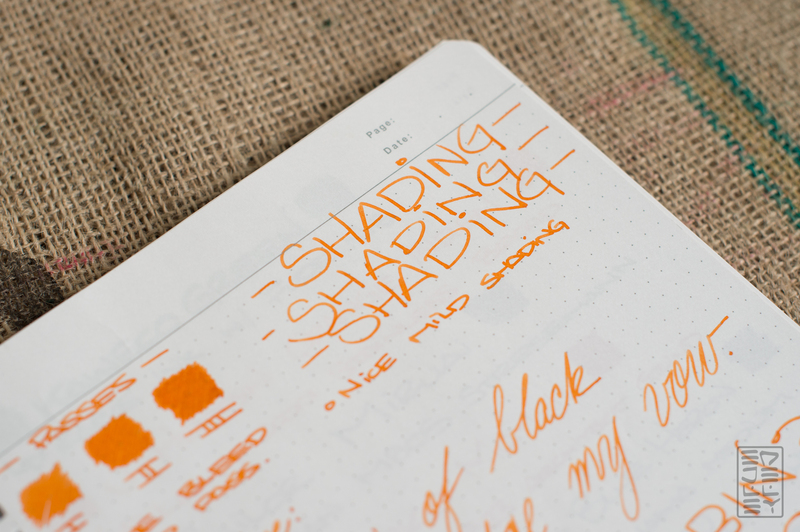 It’s not the brightest ink on the page, but it does exhibit some nice, low-key shading. 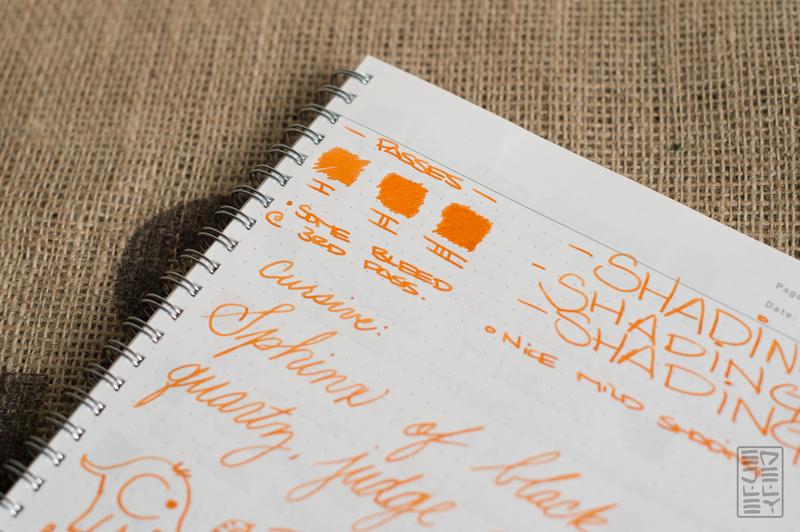 The color isn’t very bright like Noodler’s Apache Sunset, making it a nice middle of the road orange. 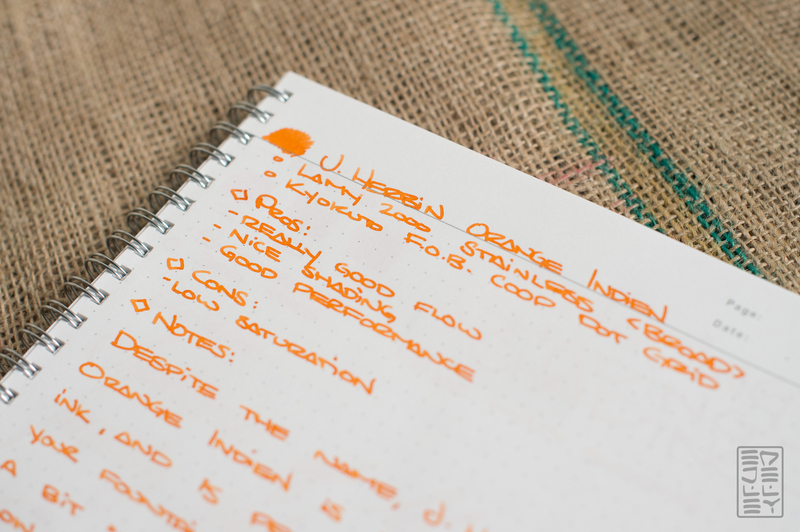 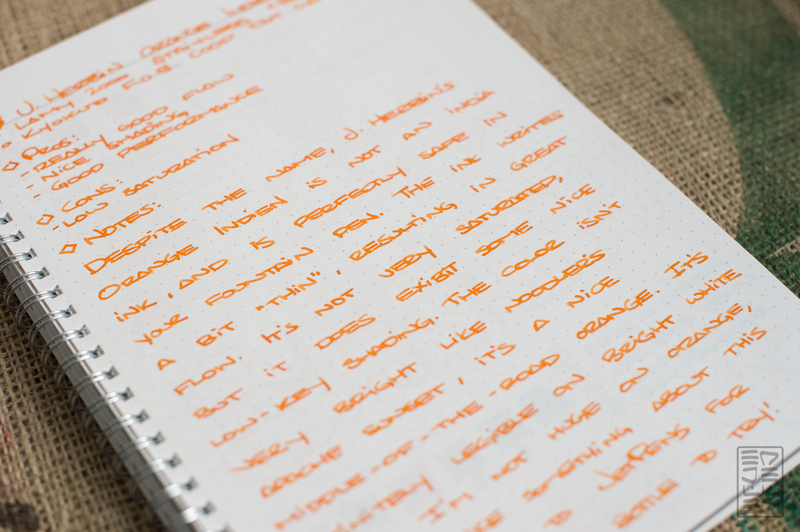 Orange Indien is definitely legible on bright white paper, but maybe not as much on cream or off-white. I’m not huge on this orange, but the small bottle is just enough to get a few good fills out of it! 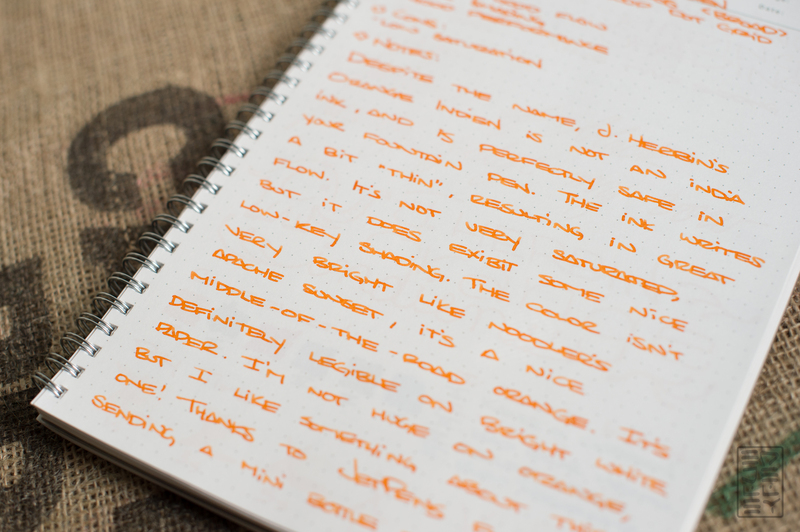  Thanks to JetPens for sending the bottle over for review!